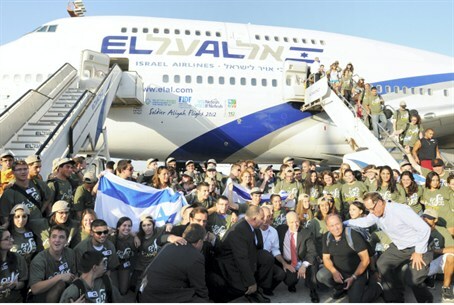 Jewish Agency official estimates up to 5,000 French citizens leaving for Israel in 2014 - a new record. The number of French Jews emigrating to Israel rose nearly four-fold in the first quarter of the year and could touch a record in 2014, a Jewish organization said Monday. The number of French Jews leaving for Israel has been growing steadily. A total of 1,907 left in 2012 and it rose to 3,280 in 2013. Aliyah in 2014 has risen by 312%. Anti-Semitism has been skyrocketing in France. A recent poll by the EU's Fundamental Rights Agency recorded that 40% of French Jews fear publicly identifying as Jews, and that 75% of European Jews feel that anti-Semitism is on the rise. Concerns have run so high that the Israeli government recently announced a program to help French Jews emigrate to Israel en masse - after reports have surfaced showing a growing exodus of Jews from France to other Western countries.